that you might want it back." You'll never be able to find yourself if you're lost in someone else. Fallon meets Ben, an aspiring novelist, the day of her scheduled cross-country move. Their untimely attraction leads them to spend Fallon's last dat in L.A. together, and her eventful life becomes the creative inspiration Ben has always sought for his novel. Over time and admits the various relationships and tribulations of their own separate lives, they continue to meet on the same date every year. Until one dat Fallon becomes unsure if Ben has been telling her the truth or fabrication a perfect reality for the sake of the ultimate plot twist. Can Ben's relationship with Fallon-and simultaneously his novel- be considered a love story if it ends in heartbreak? Give me a second while I try and still my heart. This book.... Just.....words escape me..... so many things happened..... and so many emotions happened in my heart and head......Deep Breaths. This was my first non YA book. It is a new adult book by Colleen Hoover. Because I am single and had no plans for Valentines day, I decided I would lock myself in my bedroom and read a book. Little did I know that I was picking up a book that would take a piece of my heart away. I started this Feb. 14 2016 and finished it Feb 14 2016. It's a pretty small book, only 307 pages, but man I tore through that with the speed of a bullet. Right from the beginning this book was interesting and then Ben pops into the story. Let me tell you, Benton James Kessler is HILARIOUS! He was so funny and combined with Fallon's sass, I was actually giggling in the living room while my family looked at me like I was crazy. You can't contain the giggles and smiles that this book that demands those very things. The steamy moments were hot. Hot.Hot .HOT. and the romantic moments tugged at my heart. I was half way through the book and I wanted it to end right there right now, it was perfect. It was cutesy, funny, bubbly. There will be a moment in this book where you are balling your eyes out, unable to contain the hiccuped sobs and the ugly sniffles. And then.... you get past that part and get to the REAL tragedy. 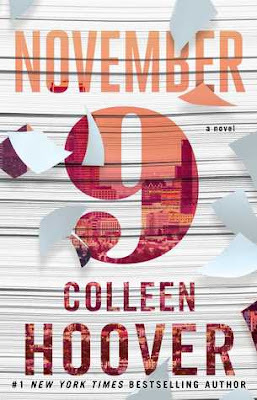 How can one book hold so much heartache and destruction? You're heart will break and you will want to close the book. DON'T DO THAT!!!! You have to keep reading. I promise you, it will get better. I had to have my mom read the last page and tell me if I could keep reading without doing too much damage to my psyche. She said it was okay, and so I kept reading. I kept reading and she was right. It got better. So I beg you! Finish the book! You have to! So I kept reading, sorta, I had tears in my eyes so it was kinda foggy, but I managed. My crumbled heart was slowly gluing itself back together before I hit the ultimate plot twist. That was all I needed to heat the glue and make my heart whole again. I don't know why I was so connected to Fallon during this book, but I was. I felt for her, I wanted everything to be great for her. I loved this girl and I loved Ben and all the minor characters as well. I loved them all and by the time I got to the end of the book, I was crying again. This time good tears. This was a fabulous read and I highly recommend that you pick this up! It was a fast paced book, and incredible read that had me on an emotional rollercoaster and I loved it. Even the tragic parts. "I'm saying I'm in love with you! Anna is happy in Atlanta. She has a loyal best friend and a crush on her coworker at the movie theater, who is just starting to return her affection. So she's less than thrilled when her father decides to send her to a boarding school in Paris for her senior year. But despite not speaking a word of French, Anna meets some cool new people, including the handsome Etienne St. Clair, who quickly becomes her best friend. Unfortunately, he's taken - and Anna might be, too. 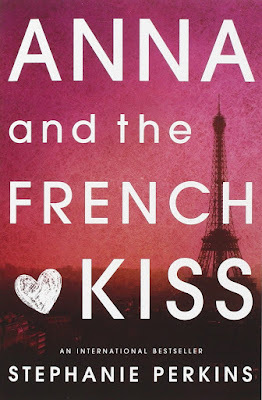 Will a year of romantic near misses end with the French kiss she's been waiting for? This book was pretty cute. Even today, six years after being published, there is still a lot of hype over this book. So I decided to check it out. I am very please with the results. 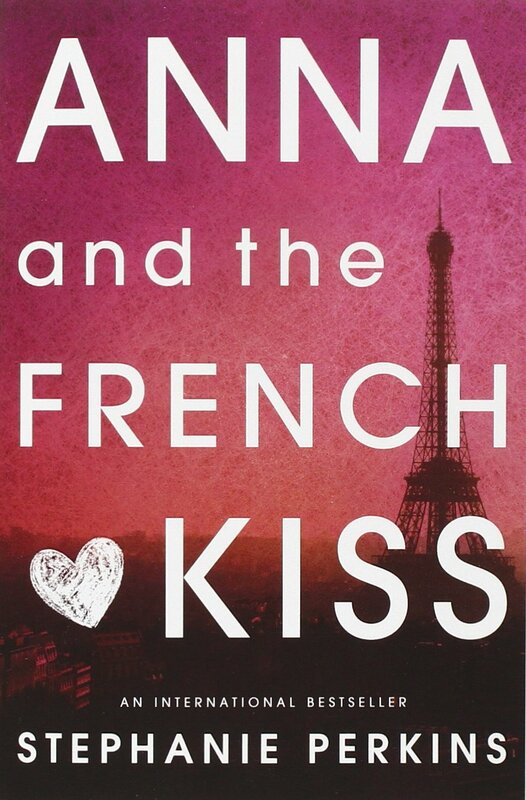 Anna and the French Kiss was just as adorable. I think my favorite part of it, was the realistic relationship building. There was no instant love, but a slow gradual burning of love. It was great. I loved how you could tell how Anna felt about Etienne, whether angry or happy with him by which name she called him. This was a definite page turner, I couldn't put it down. All I wanted to do was get to the next part, find out what happened next. Perkins did a great job of making it fast paced. There was no time where it lagged and made me yawn, no, it was all quick paced and entertaining. If you haven't read this book, I highly recommend that you pick this up next. It's the perfect February book to read. It makes your heart flutter and you smile to yourself while reading. It's a fabulous read. Five stars for sure!! Okay, this has been a debate thats plagued the world since the first E-Reader was invented in 2004, and one I personally struggle with too. First off, I want to recognize some pros and cons of each, then I will explain when I use each of them and why. Personally, I prefer a real book more than an E-Reader, but E-Readers have great uses in my life. When I travel, I definitely bring along my kindle. I read real books more often than I do on an E-Reader. But each of them has their uses. When I travel and it's night, I use my kindle cause then I can read in the dark, and I have an endless collection of books that I can read. But I love being able to hold a big 1000 page book and say, "Heck Yes I read all of this." Honestly, I use both of them regularly. I'm sure you all have your preferences, mine is real books, comment below and let me know what you like best. Add any pros and cons to the list if you'd like and let me know if I missed them on my list. As always, enjoy the book you're currently reading!